Pelican Soap Maccha Milk Flavor is made up of green tea extracts, milk, and soothing ingredients that help keep your skin moisturized all day long! The green tea leaves are added to make your skin feel tightened without it feeling too dry, and also makes the surface of your skin glow. This bar soap provides gentle cleansing by removing accumulations of dirt, and also has a light relaxing scent of green tea and milk. This soap bar is rich in sheer moisturizing ingredients, maccha and milk, to create illuminated skin with every usage. With a sweet, relaxing fragrance of maccha to fill the room. How to apply: Lather soap with water until it foams up. Then cleanse body, and rinse. 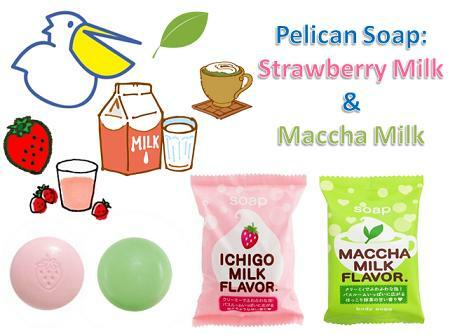 Click the button below to add the Pack of 2 Pelican Maccha Milk Flavor Soap to your wish list.